This solution describes the option to open Service Requests using SmartDashboard. Along with opening a Service Request, this method automatically submits additional information to Check Point. The additional information helps Technical Support representatives to provide faster and accurate solution to the Service Request. As always, users can also open Service Requests through User Center website. 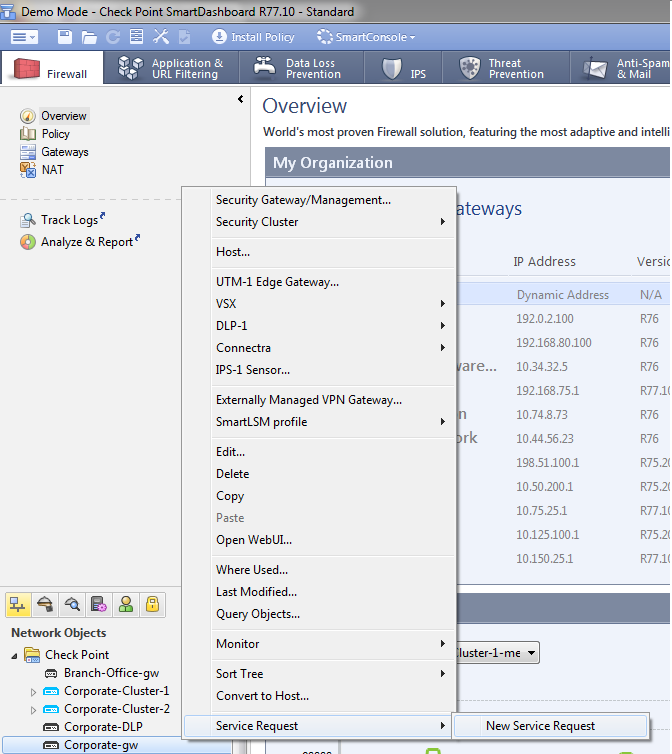 Connect with SmartDashboard to the Security Management server, where a corresponding Security Gateway is configured. Right-click on the gateway object in the object pane, and select 'Service Request -> New Service Request'. In R80.10: Go to SmartConsole > Gateways & Servers > Actions > Support > New Service Request'. Fill in all the required fields with the request's details, and complete the steps mentioned in the wizard. Note: Opening a Service Request requires sending Check Point products information. The complete details of the information sent to Check Point can be found in sk94064. The information is automatically sent to Check Point using secure communication (HTTPS). The upload method is using HTTP POST and authentication. 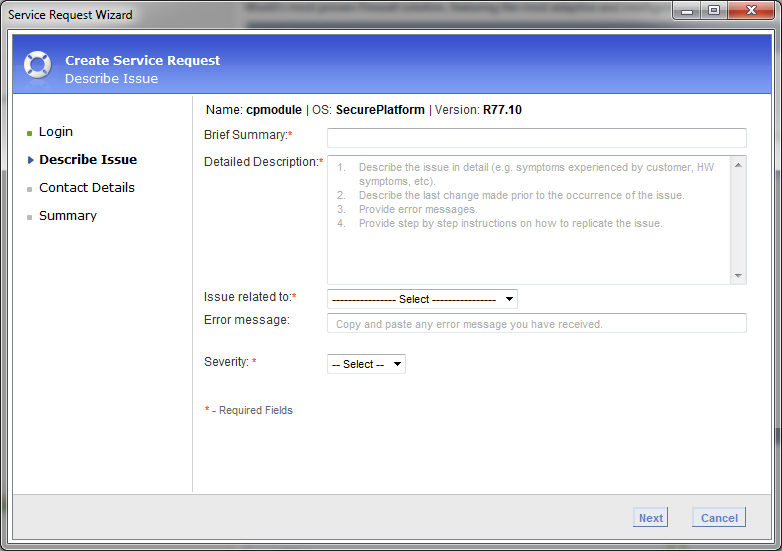 Opened Service Requests can be viewed on the User Center website, by going to 'Support->My Service Requests'. Your Service Request will be opened on the account to which the appliance license is attached to. If you use more than one account ID within the User Center, you cannot select a specific Account ID. This means that the Service Request might be opened with another Account ID than expected. Note: You must have write access (not readonly mode) for this feature to work. Limitation: Service Request is not supported on Domain Management Server (Check Point host that represents the CMA).